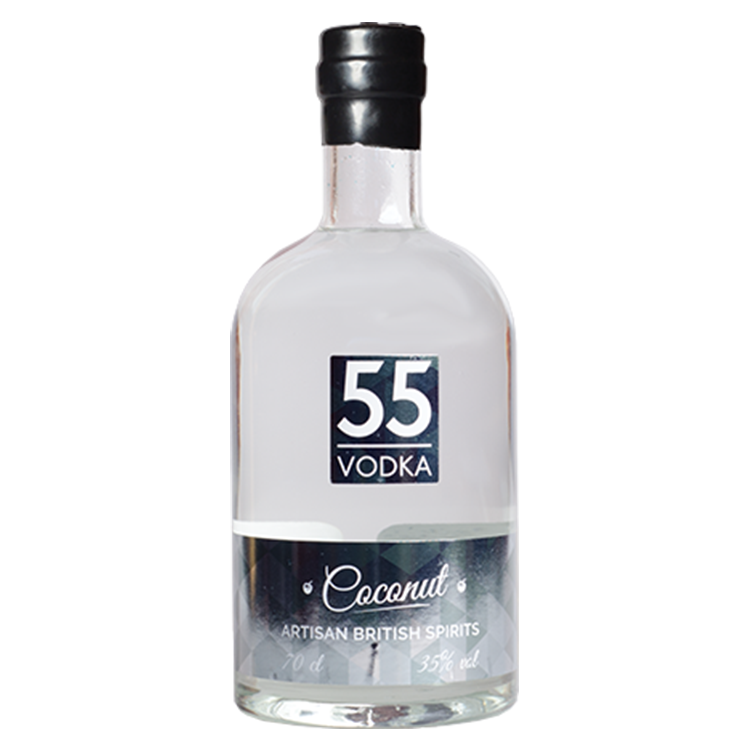 Our coconut vodka is made using 100% natural ingredients, and unlike other vodkas, it does not contain any artificial flavourings or added sugar. 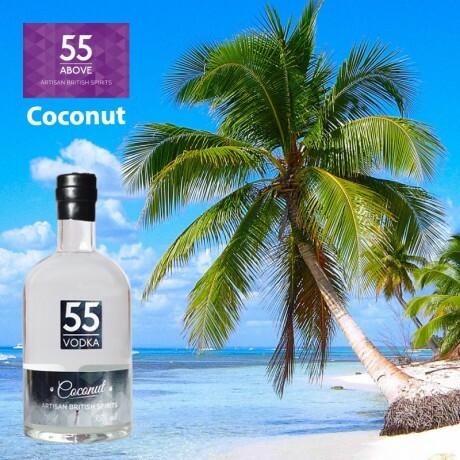 Infused with real coconut pieces during the maceration process to create a deliciously smooth and fresh coconut flavour with a sweet aftertaste. Complimented with its light and refreshing aroma this vodka will bring the sun-kissed Caribbean to everyone. 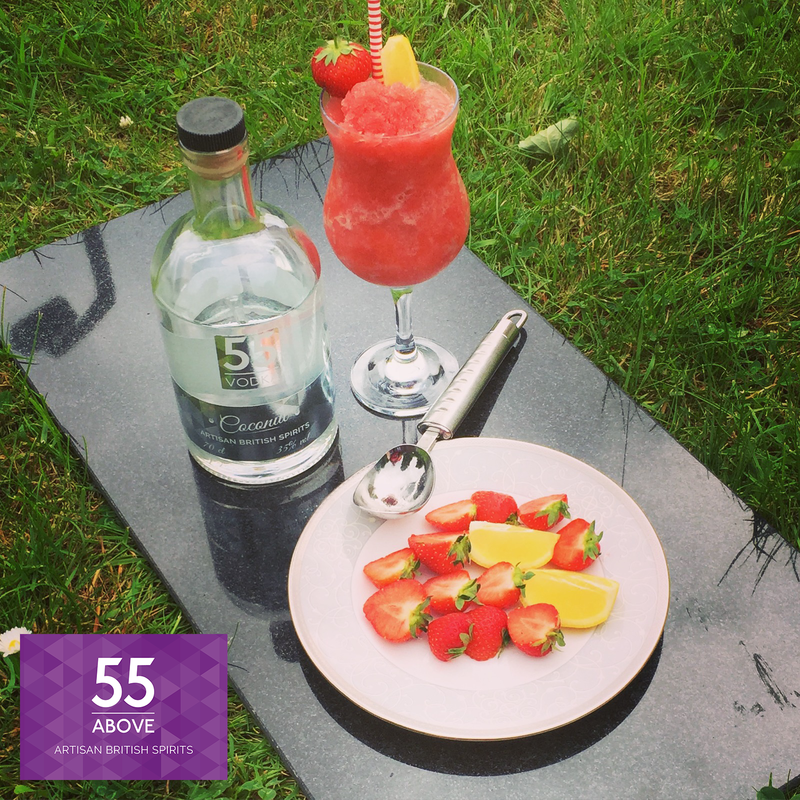 Our hand crafted artisan vodka is produced using only the finest quality British potatoes. The vodka is distilled in a traditional copper still in small batches of just a few hundred bottles at a time resulting in exceptional quality. 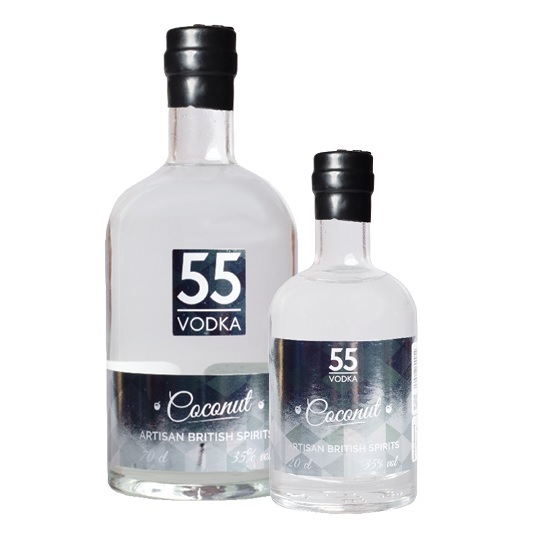 This vodka is 35% proof and comes in either a 20cl or 70cl bottle. Potatoes (Maris Piper), fresh coconut. Lovely artisan brandy - so good that it is made in the UK. Arrived early. Lovely bottle. But it’s a gift, so sadly i cannot comment on the contents. We met 55 Above at a Yumbles event earlier this year. We met 55 Above at a Yumbles event earlier this year. We loved their super smooth Vodka so much that we decided to buy a bottle for each of our clients as a Christmas gift. Pure handcrafted, small-batch British artisan spirits.